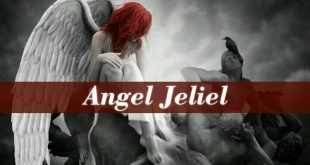 Angel Lelahel also known as the angel of art and fortune. He holds The Divine Light. 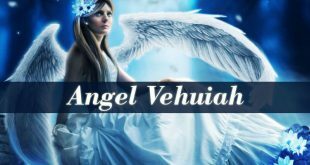 Lelahel is the 6th, after Angel Mahasiah. And it means “The Praiseworthy God”. Lelahel is a powerful Seraphim. But in Jewish mysticism, he belongs to the Chajoth Ha Qadesh. And his ruler is Metatron. 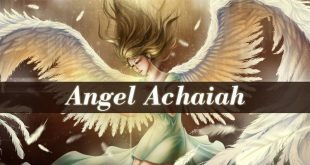 Angel Lelahel appears in Kabbalistic lore. Having Asentacer as equivalent. Although, Asentacer seems to be a mysterious fallen angel. Because he mostly appears in Stanistic and Luciferian rituals. Which makes him a dangerous entity. On the other hand, Lelahel is a completely different angel. Which makes me wonder where this equivalency might come from. 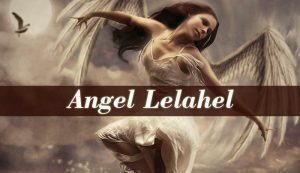 Angel Lelahel has dominion over art, science, love and fortune. Therefore, he brings love into your life. Beings one of the best angels to call upon when you are facing relationship problems. He fills you with Divine Love and teaches you how to love your real self. Lelahel loves and guards every art form and everything that is beautiful. Allowing us to see the beauty around us. Because every creation around us is a piece of art with unique beauty. Lelahel is the patron of science. Which also makes him the patron of scientists. Bringing them patience, knowledge and success. But Lelahel is also famous for his ability of bringing fortune into one’s life. Therefore, he brings a hint of fortune into your life. Bringing abundance and success into your projects and daily life. 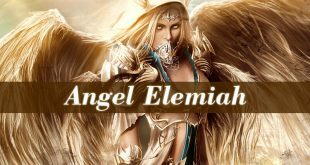 Although Angel Lelahel is mostly known as the guardian of The Divine Light. This light is so pure that it clears and heals everything. Being the best help for spiritual healers and light workers. Providing them with The Divine Healing Light. But Lelahel is also the angel who holds the famous Mirror Of The Soul. When someone looks into this mirror, sees his true self, the pure spiritual being. Lelahel also allows us to see the changes we should make for a better life. As each of the 72 angels of God from the Kabbalah, Lelahel also has an influential period in the calendar. His influential days are between April 15 and April 20. Those who were born in this period are influenced by the angel of love and art. They hate everything that is negative or evil. Always seeking the positive in every situation and person. Also they are the warriors of The Divine Light. Fighting the evil and negative forces. 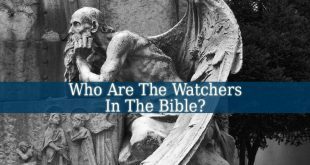 Which they have the wisdom and knowledge within themselves to do properly. They are also carriers of The Divine Light. And it can be observed not only in heir auras, but also in their personality. Hence, they are very kind and loving people. Difficult situations can’t stop a people influenced by Angel Lelahel. Because those born under his influence are real fighters. Who doesn’t know what the term “impossible” means. Possessing an amazing problem solving ability. The powerful light within them makes these people great psychics and spiritual teachers. Also, they are able to easily learn how to communicate with angels and other spiritual beings. Often ending up as psychics that transmit messages between the physical and the spiritual world. Lelahel protecting them in their divine missions.